We are accredited with an A+ rating. 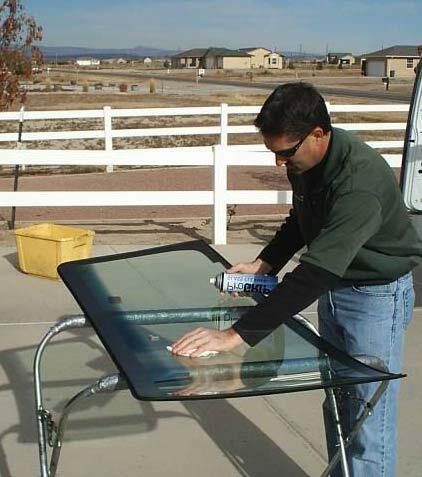 With technicians in Pueblo and Colo. Springs, we offer FREE, Fast Mobile Service at LOW, LOW prices. We take pride in each and every installation from windshields, to door glass, to back glass, and any other piece of auto glass, like it is our OWN vehicle. Our warranty is the BEST, please ask about it when calling us. We began in 2005, with one man and a pickup. Now we service from Monument to Colorado City, (North to South), and from Fowler to Canon City, (East to West). We promise superior service and the highest quality products for your vehicle. Please CONTACT US anytime. Have a question? We answer the phone! Feel free to call us anytime. We are accredited with an A+ rating. We provide each customer a written warranty included on your receipt. We strive for total customer service and work hard to earn and keep your business. Approved by all major insurance companies, we can process your claim for you. Local and family owned business means we care about our customers.